China is opening its market to foreign investors at a significant pace. It is increasingly likely that in less than five years China A-shares will become eligible for inclusion in FTSE’s global indices. 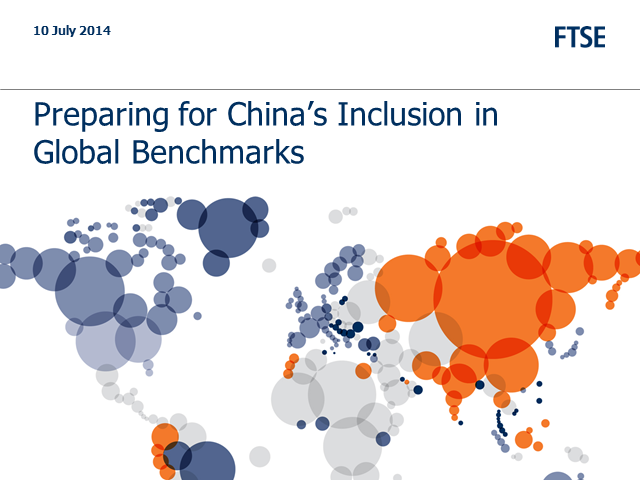 To help market participants prepare for the inclusion of China A-shares in global benchmarks, FTSE invites you to join our experts from FTSE Research in a webinar to discuss: China's development, regulatory reforms and accessibility and the path to China A-shares inclusion in global benchmarks.